We did it well to make it as one of our fine product. Low legs, rectangular doors and the pieces at alongside the top were inspired from Japan style. 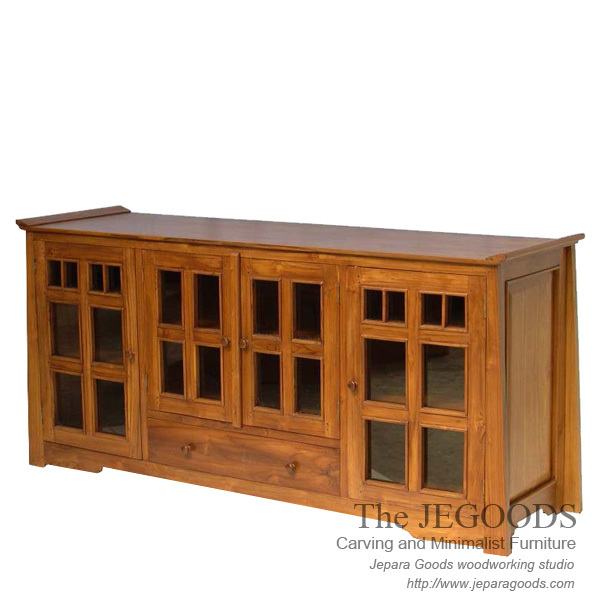 A contemporary buffet style that made of solid teak wood from Indonesia with best construction method and beautiful natural color finished by our experienced Jepara wood craftsman.